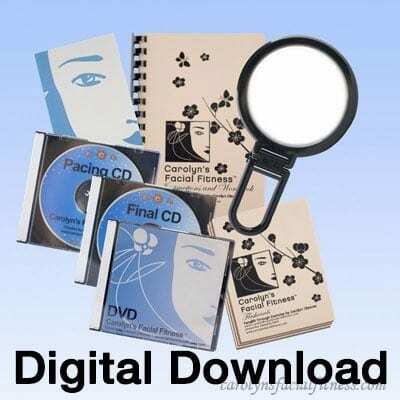 The Full Kit digital download includes all the Facial Exercise Videos, the Workbook with Instructions and Bonus Exercises, the Pacing Audio Track, the Final Audio Track, and a Fundamentals Guide. The mirror is an optional add-on. For each file, you will have 5 download attempts within 1 week of purchase. If you encounter any problems or need an extension, please contact our web support team. No add-ons - FREE shipping! The double Sided stand alone mirror is ideal for ensuring you do all of Carolyn's Facial Exercises correctly and can see yourself regain that youthful look! 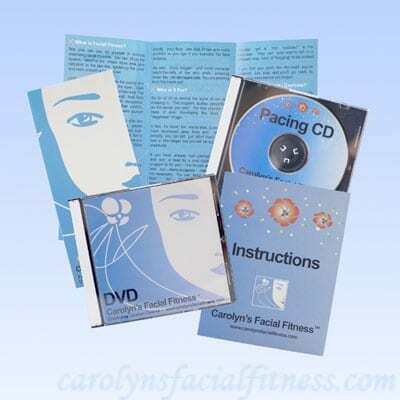 The facial exercise videos are for the Learning Phase. It demonstrates step for step how to do each of the 28 exercises in the whole program! You can access and repeat individual exercises for easy learning. The videos are formatted to play on all devices. You will have 5 download attempts within 1 week of purchase. If you encounter any problems or need an extension, please contact our web support team. 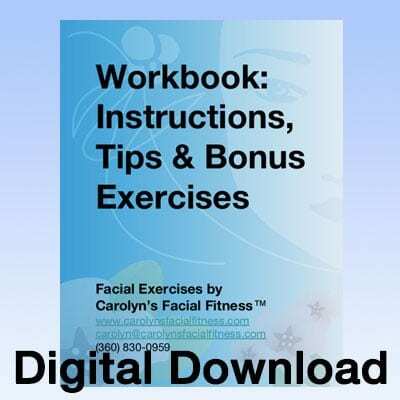 The Workbook includes detailed step by step instructions for learning and doing the exercises. 10 color photo-illustrated bonus exercises, a 3-step Wrinkle Release Technique that works and many great beauty tips, including how to handle spider veins and grow beautiful fingernails! 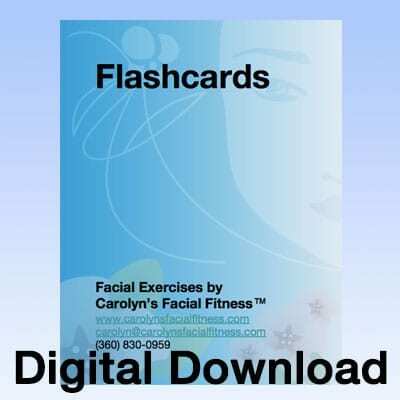 There are 10 bonus exercises in the Workbook that address even more areas of the face and neck that you may want to work on even further. 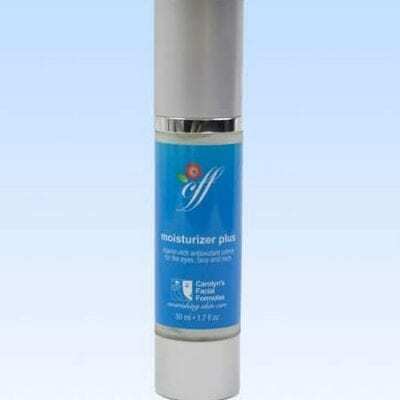 As well, you also receive the 3-Step Wrinkle Release Technique that has proven to literally rub out deeper wrinkles and fine lines. Everything is color, photo-illustrated for easy learning. In the beginning, it can be a little difficult to remember all the proper handholds for doing the exercises. These color, photo-illustrated Flashcards show you the proper handholds at a glance. You can refer to them instead of having to watch the exercise videos every time you want to remember how the exercise is performed. The Pacing Audio Track talks you through the program and counts through each exercise with you. It's only 15 minutes long and keeps you motivated and guides you! Every time you workout, you have the Final Audio Track to talk you through the program. It's the same as the Pacing Audio Track without the counting. It tells you when the next exercise starts and when to hold and when to lift or change sides. - keeps you motivated with no more counting! Only 15 minutes long! 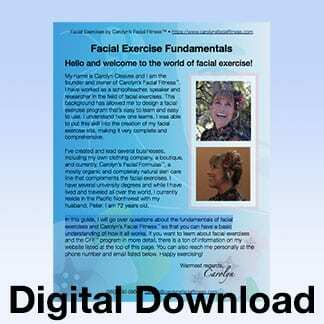 A fundamentals guide of facial exercises and Carolyn’s Facial Fitness™ so that you can have a basic understanding of how it all works.